Fire stick farming is of great interest to me, as fire ecology as a tool for ecosystem manipulation appears widespread and old among hunter-gatherers worldwide. 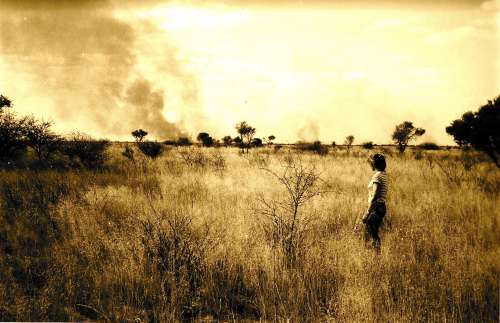 I made a study of this among the Kua, and it was actually what my grant was for, but I had to change topics in mid stream as Botswana had been converted to the "Smokey the Bear" philosophy by range ecologists at the world bank - so they had passed draconian anti-burning laws just before I got to the field. None of the people (Bushmen or Tswana) would talk about fire until well into my third year of fieldwork, although I collected plenty of evidence of fires and their (largely positive) effect on the hunter-gatherer's favorite food plants and game populations. Use of fire in this way was discussed by George Schaller among Australian hunter-gatherers in the 1970s.